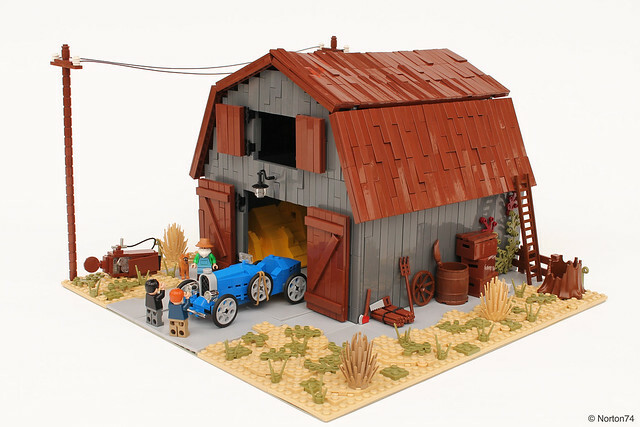 Picture the scene (well you don't have to work that hard, here's a MOC by Norton74 to help), you and a fellow gear head get word that old man Jessup might have an "old race car" in his barn while out hunting for parts. You track him down and he agrees to show you the old beater out back. You all enter the dusty old barn and with a completely nonchalant yank of a tarp he reveals a Bugatti Type 35 Grand Prix. These things happen every year, and it has to be an amazing experience.